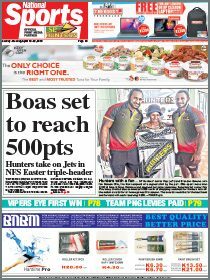 Prime Minister Peter O’Neill is confident that his People’s National Congress Party candidates will do well in Chimbu. He said that after visiting Chimbu where he launched the Gewa-Gembogl Road sealing project and campaigned for Kundiawa-Gembogl MP and Tourism Minister Tobias Kulang and later in Kerowagi where he campaigned for his PNC candidate Guma Wau. The PNC has seven candidates contesting in Chimbu – Governor Noah Kool, Kamamui-Nomane MP Mogarema Wei, Gumine MP and Education Minister Nick Kuman, Kulang, Wau, former National Housing Corporation managing director John Dege for Sinasina-Yongomugl and Chuave MP Wera Mori. “These are strong, mature Chimbu leaders,” O’Neill told The National. About 10,000 people were at Kulang’s rally. Also there was Kuman, Works and Implementation Minister and Imbonggu MP Francis Awesa and Works and Implementation Secretary David Wereh. “The support for PNC was shown by support from people from all the different tribes who were there,” O’Neill told The National. “We are confident that Kulang will retain his seat as he is an asset to the nation and an asset to the people of Kundiawa-Gembogl. “Over the last five years, there has been a lot of development in that particular district after many years of neglect because of lack of funding from the national government to the districts. “The DSIP has seen the building of a district office, treasury office, rebuilding of the hospital, building of staff houses for public servants, roads have been rebuilt. 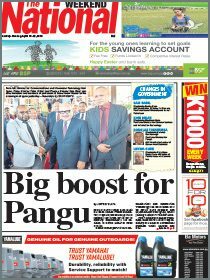 O’Neill said support for PNC was further displayed at Kerowagi during the rally for Wau, who is making a comeback.